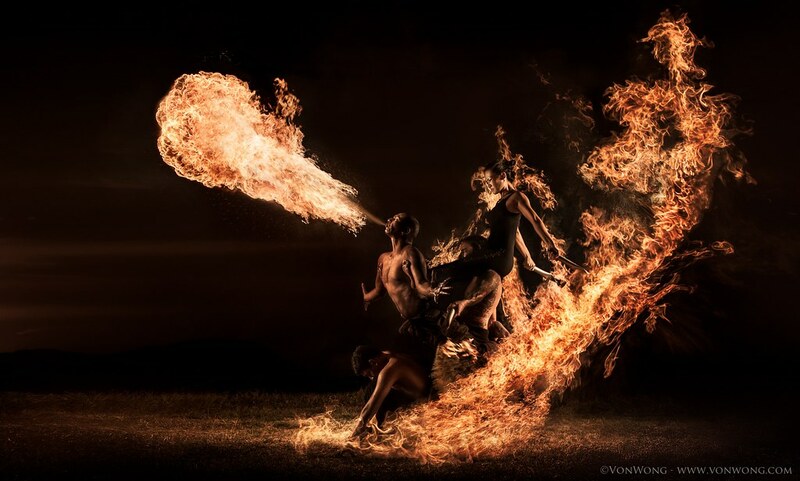 Benjamin Von Wong likes to light people on fire, transport them into surreal worlds, and sink them in underwater shipwrecks. The 27-year-old photographer aims to blur the line between fantasy and reality with his epic photo shoots, and the results are mesmerizing larger-than-life images. 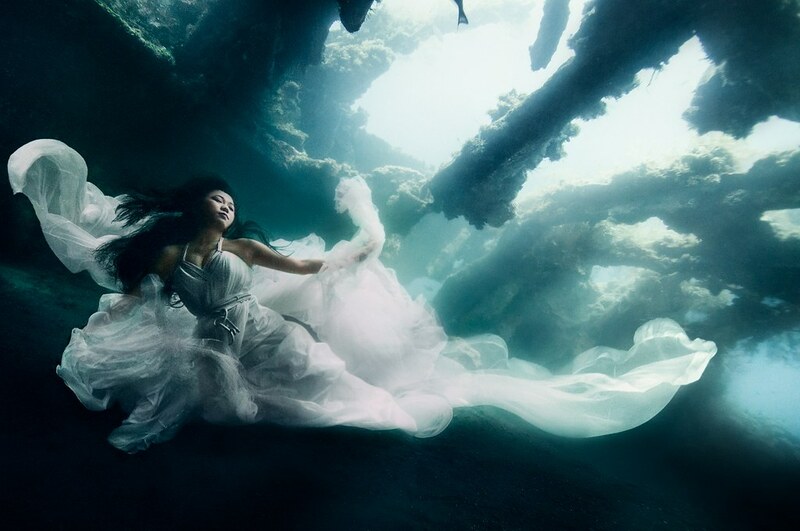 Ben’s love for epic photography has brought him all over the world, from the walls of Jerusalem to the beaches of Singapore, but one his most extreme shoots took place at the bottom of the ocean. 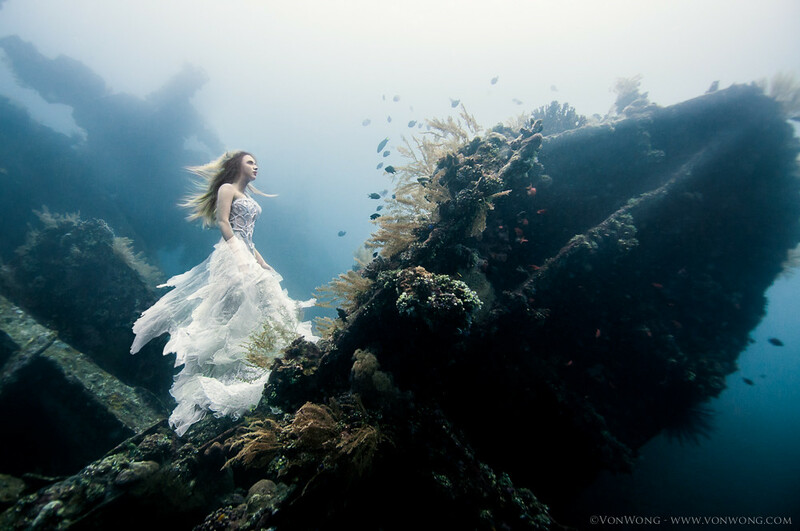 While on vacation with his family in Bali, Ben got his diving certification and had an idea — he would stage an underwater photo shoot in a sunken shipwreck off the coast. With the help of a dive instructor named Chris, Ben found all the elements needed to make the shoot a reality. 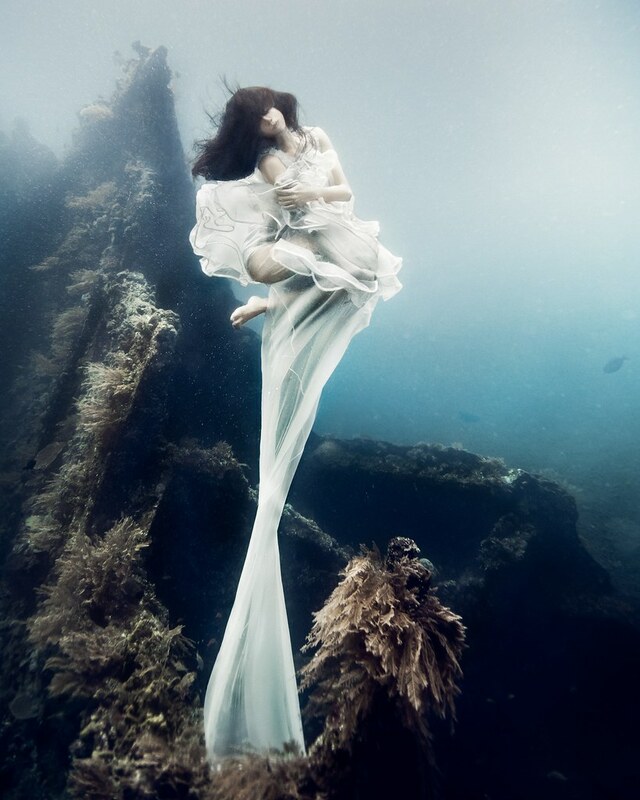 In just three days, they gathered freedivers, stylists, dresses, makeup, and all the necessary gear and equipment to bring the shoot to life. Ben never shies away from a challenge, and the underwater shoot had plenty — specialized divers acting as models were required to hold their breaths for several minutes underwater, while other trained divers were on hand for safety purposes. The seawater took a toll on makeup and clothing. Currents, color temperature changes, and the water’s magnification all created technical difficulties. But for Ben, it’s all part of the process. He says, “I love these technical challenges because it pushes me to become a better photographer, a better creator, to tell a better story.” The results are unbelievably stunning images that transport the viewer into an enchanted underwater world. Visit Ben’s photostream to see more of his photography. Every weekend we present you a selection of photos we noticed during the last week. Read on to check out this week’s selection and be inspired by these great photographers. It’s Flickr Friday, and they are among us! Uur new challenge is ALIEN! Show us little green men and women, discover their abandoned vessels camouflaged as modern architecture and show us where you spot them in your every day life. Start shooting today for our week-long challenge.